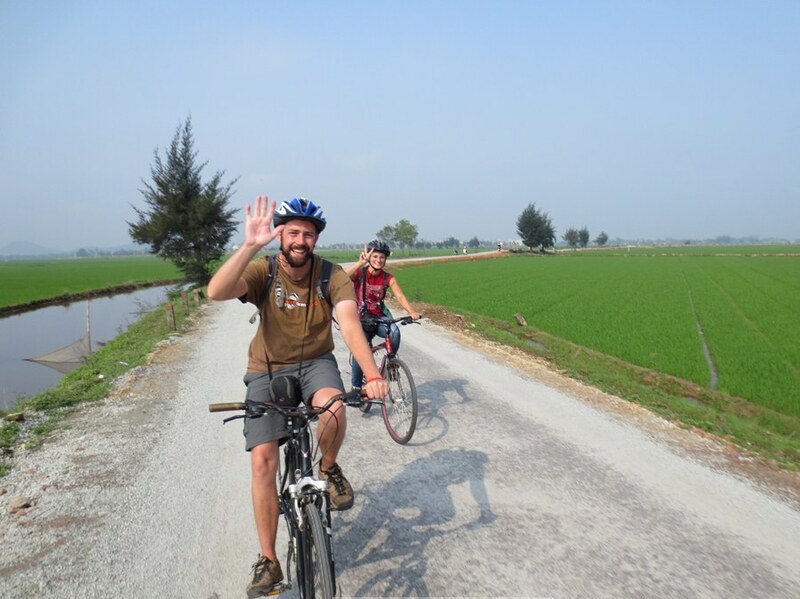 - Departing at 7:30am, we will cycle to visit the Thanh Toan Bridge, an ancient architectural monument extremely valuable in terms of its history and culture. - We will cycle on to Dam Chuon Lagoon. This is a must see spot for all those who are lovers of beautiful scenery and keen photographers. After that, we will jump back on the bikes and head to Con Te Islet. 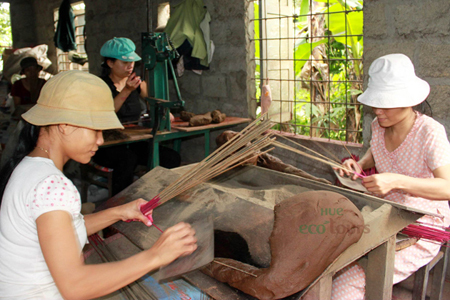 Here we will stop for lunch at the Thuan An Waterfront where we can also admire the beautiful mangroves opposite - On the way back to Hue, we will stop at Sinh Village an ancient village well known for its artists and beautiful, traditional, craft woodblock paintings. Another special thing to see in Sinh village is the wrestling festival. We will have opportunity to row kayak by yourselves along river in Hue to feel the serene beauty of Hue. Then, we ride back to the city for a 75 minute Yoga class to stretch out and unwind from our tour. What is included on the tour? • Alcoholic drinks and drinks during meals. • Tips for drivers, driver’s assistants, local people, guides etc.